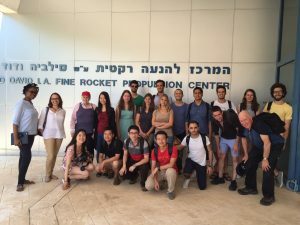 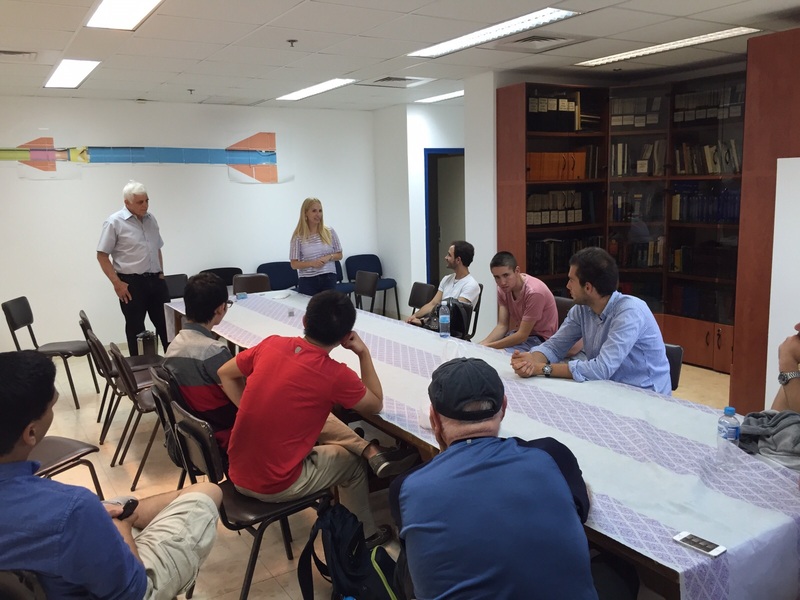 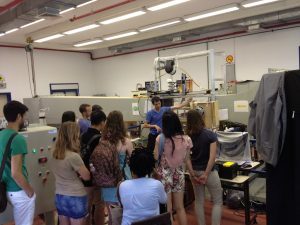 On Tuesday, July 14th 2015, a group of 25 Hebrew University summer course (InnovNation) students from over 20 countries worldwide arrived at the Technion for a one-day visit arranged by the Knowledge Center for Innovation (IE&M faculty). The visit included lectures about innovation management, the future of work and innovative technologies as well as visits to several labs at the Bio-medical and Aerospace faculties. 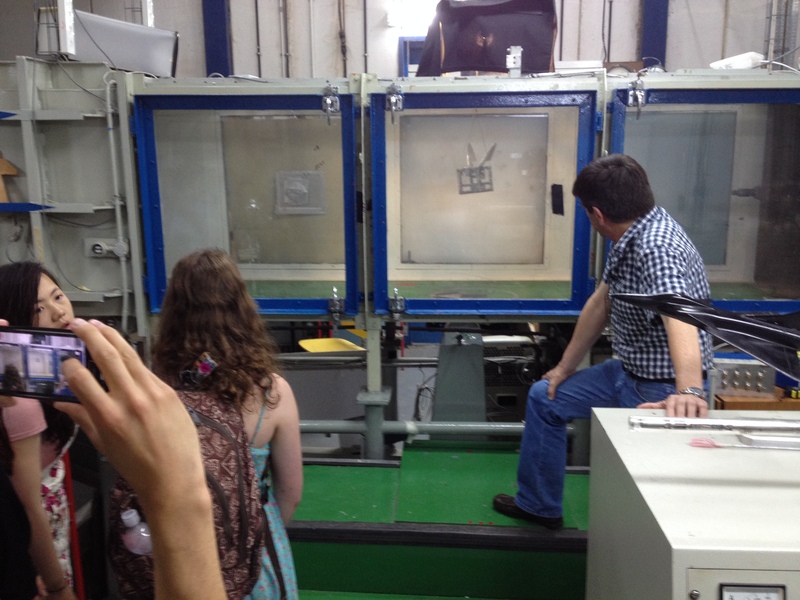 At our faculty, the group visited the Wind Tunnel Complex, where they received an explanation about the wind tunnel from Mark Koifman, the lab engineer, and Igal Gluzman, a Ph.D. student . 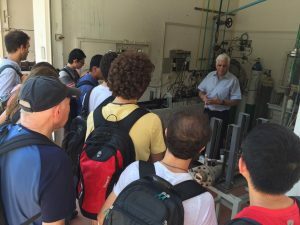 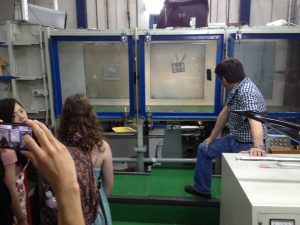 The group also toured The Propulsion and Combustion Lab, accompanied by Prof. Alon Gany and Shani Elitzur, a Ph.D. student in the faculty.